I had the great fortune to interview agent Joanna Volpe, who'll be on faculty at the upcoming SCBWI Summer Conference, August 2-5, 2013 in Los Angeles, CA. We spoke about what she's looking for in attending a conference, whether the size of an agency is important, and her pro-track session, "Cracking The Mystery of Your Royalty Statements." 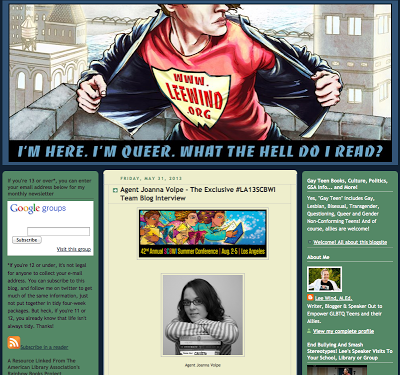 We even find out the literary food she'd most like to try! 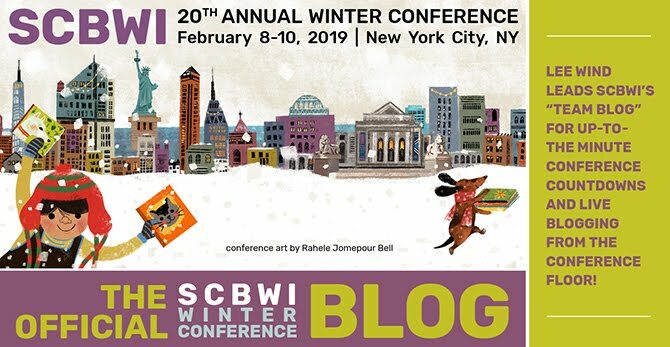 To attend Joanna's session and take part in all the remarkable craft, business, inspiration, community and opportunity the SCBWI Summer Conference offers, you have to be there in person! Go here for all the details, and to register. 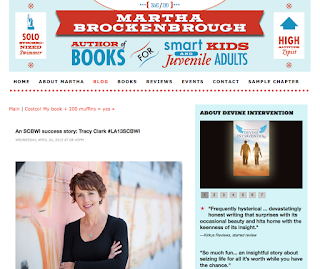 As we gather momentum for the upcoming SCBWI Summer Conference (Aug 2-5, 2013) in Los Angeles, Team Blogger Martha Brockenbrough came up with the great idea to highlight some SCBWI (and SCBWI Conference) success stories. Martha has featured Tracy Clark (whose debut novel, SCINTILLATE, is coming out January 2014 from Entangled Teen) in a piece that's poignant and inspiring.